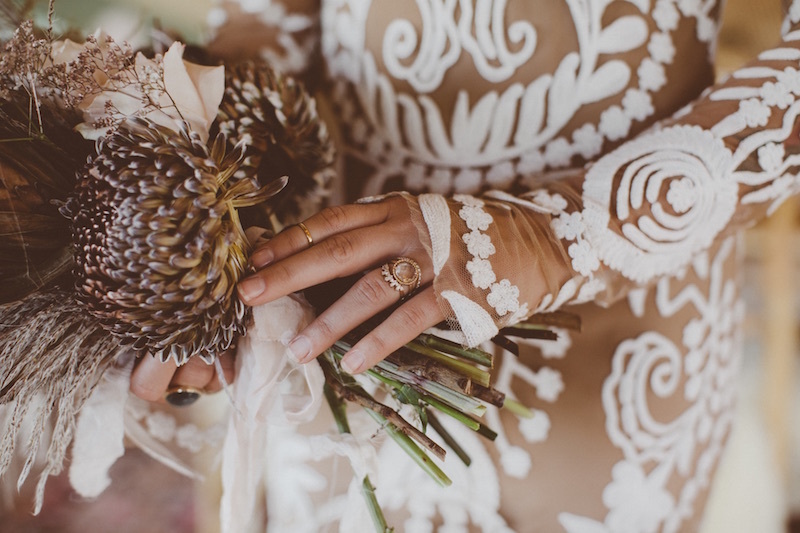 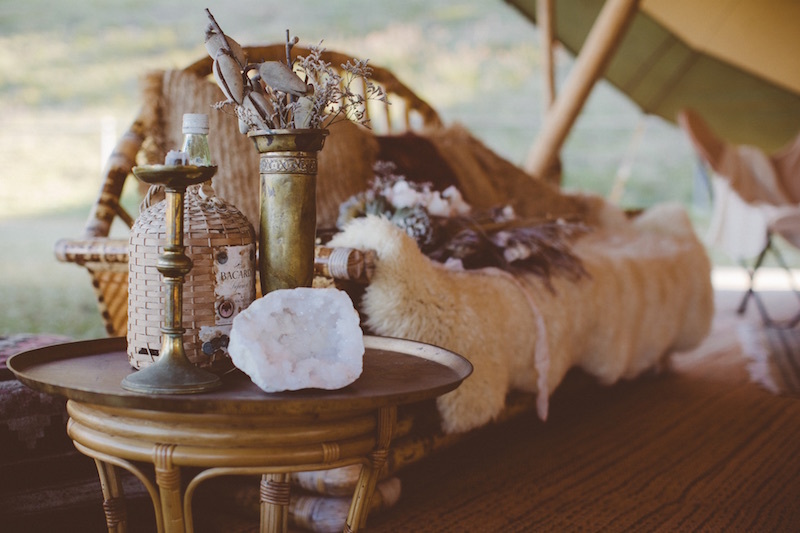 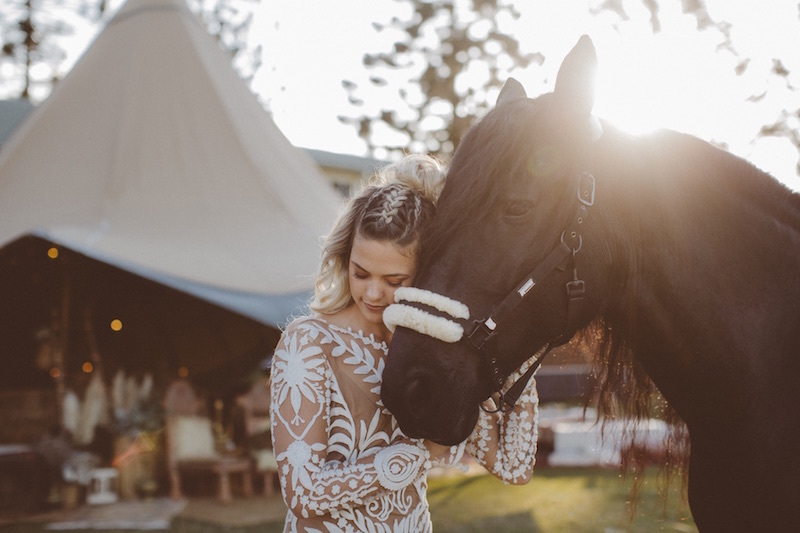 Warm and welcoming, this eclectic boho chic styling under the tipi draws inspiration from across the globe, stitched together by the commonality of vintage love. 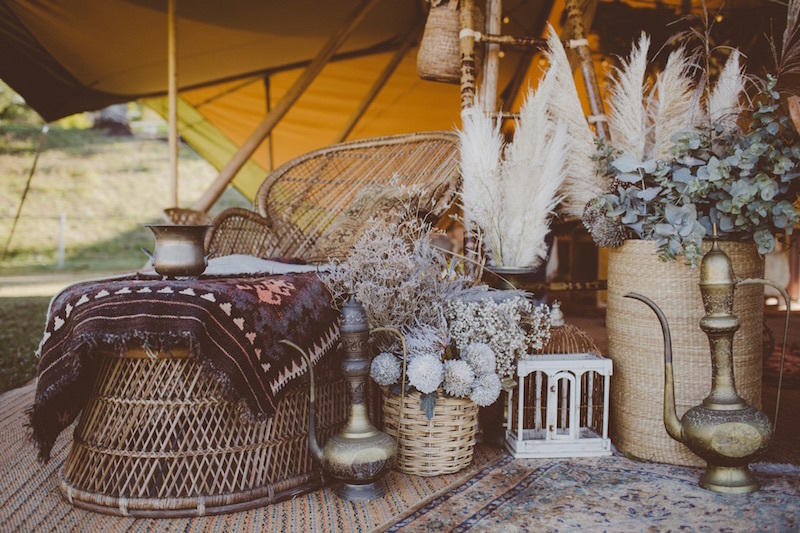 Abundant with textiles in various textures and styles from richly coloured Moroccan rugs to furs and skins, and natural fibres, the styling of the tipi starts from the carefully curated flooring. 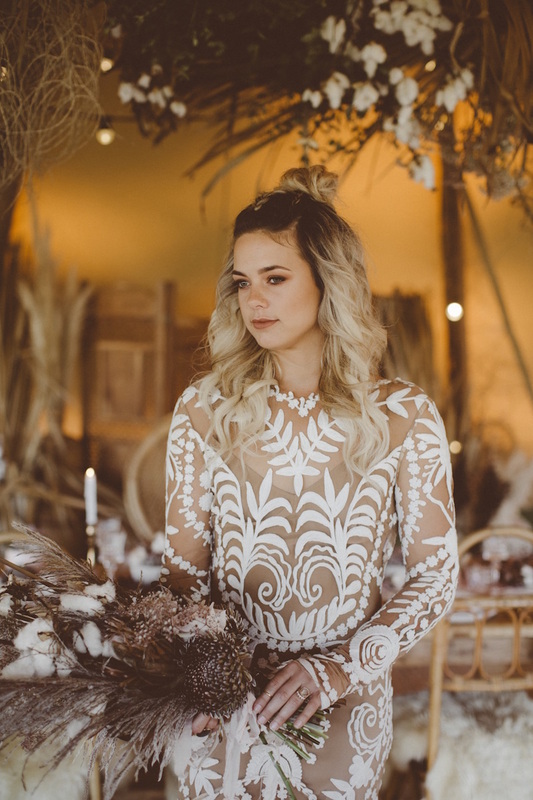 Throughout the styling the use of embroidered cushions and macrame pieces adds more surprising elements that work together to create a boho chic vibe. 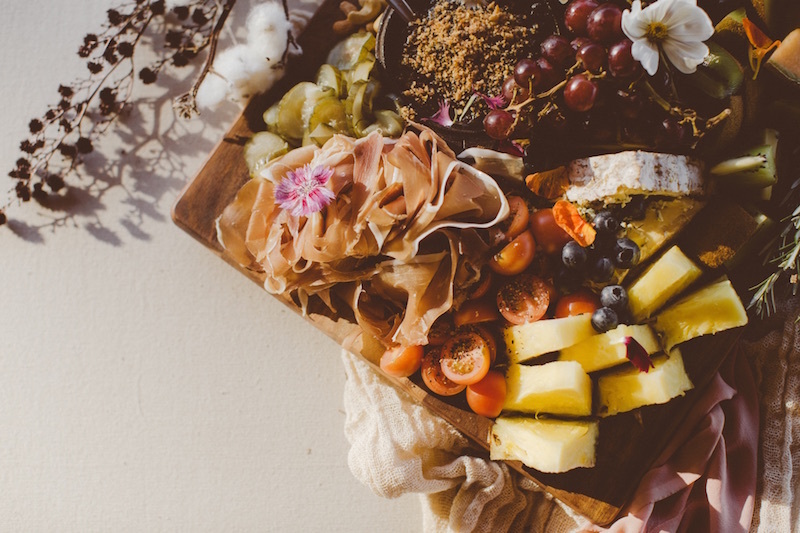 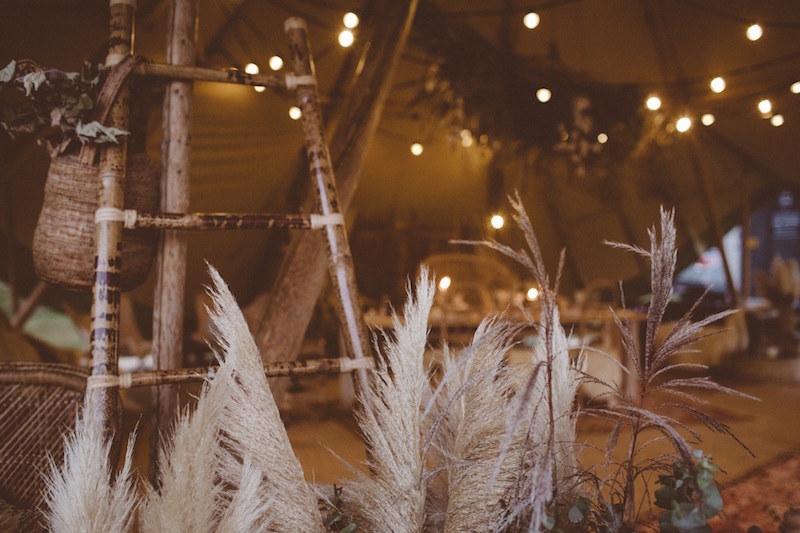 The tipi is laden with decor pieces thoughtfully arranged to create spaces within the space for sitting, eating, and being merry. 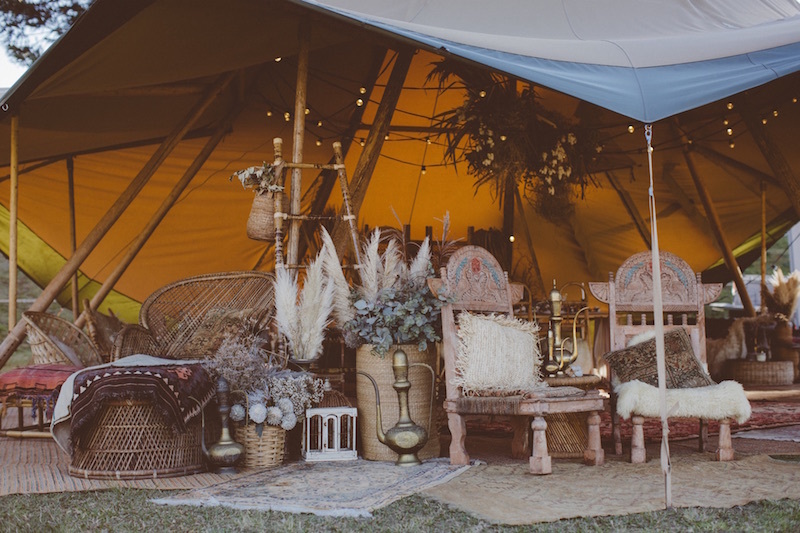 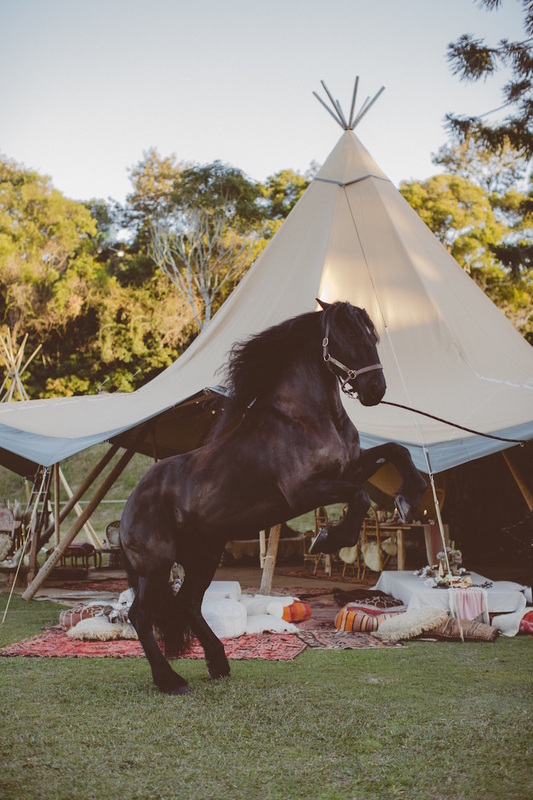 An eclectic mix of rattan chairs, sofas and tables fill the Tipi Luxe tipi, strung with festoon lights and filled with dried floral designs in keeping with the colour palette.